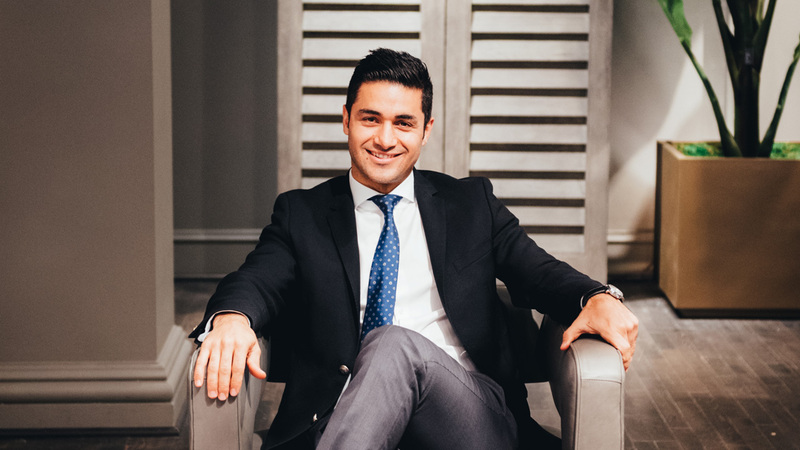 Pedram Homes was launched by Toronto's most ambitious real estate agent, Pedram Hosseinzadeh, ABR, CMA. Pedram has taken the real estate landscape by storm by selling over $100 million in real estate volume per year. According to Re/max Integra, Pedram is ranked amongst the top 1% in all of Canada. Pedram has made a name for himself by continuously going above and beyond for each of his clients. As proof that hard work always pays, Pedram is today recognized as Willowdale’s number one real estate agent for homes sold. Between Pedram’s tireless dedication to his clients, an industry-leading marketing and sales program, and an international network of agents, buyers and investors, Pedram Homes is quickly establishing itself as Toronto’s first choice in real estate sales. Just a belated note to formally thank you for your very generous support of our School Council fund-raiser last June. The Silent Auction and the World Cup themed BBQ/Fun Fair were a great success and the funds raised will make a meaningful impact on the educational experience of over 500 children in our community. Everyone seemed to really enjoy the event, thanks in no small part to the effort you made to have a presence on the day - very much appreciated. It was a pleasure to have you as our lead sponsor. I've bought and sold real estate for over 12 years. I've used several agents, however now that I've worked with Pedram I will never work with another agent! What can I say? Pedram gives you the straight story from when he first works on securing your listing through and work necessary post sale. He was the key influence in pricing my Willowdale House realistically. He didn't say all sorts of stuff to get my listing and then switch to other recommendations. He was flawless during several negotiations that were some of the most difficult I've been through, both the ones that fell through and the one that closed. He knows the market and can analyze the market better than any of the several Toronto brokers I know. He maximized the value of my house through staging and presentation. For me the litmus test was that when I asked the question: “Pedram, should I take this offer? If not, what counteroffer should I make?" Every time I trusted his judgment 100% and the results proved my trust in him". Pedram is the very best out of the best!!! Pedram is extremely intelligent, passionate, professional, and knowledgeable in real estate business. We have worked with Pedram for over three years, and exclusively working with him. Pedram is the best realtor in Willowdale/ Bayview Village, where he has cultivated to farming the market for over three years, he is top 15 realtor in Canada! He is extremely diligent, hard working, you can see him visiting clients everyday in the neighbourhood. He has helped and advised us strategically in investing in real estate business. Frankly speaking, he has mentored us in this challenging business. His pledge is to guide his clients, to balance the need to secure the clients absolute top dollar for the greatest investment and asset. He is excellent at negotiating the price, marketing the property, Staging and beautifying the property. He has helped us to sell the house 20% higher than the average market value. He is very good at finding nice houses, which are much lower price than market value, and saving fortune for his clients. We have been undergoing through together in tough situation in buying the house, Pedram is the one taking responsibility, initiative, and very kind to help us out. Whenever encountering deals, he is efficient, strategic, and quick to respond, and always find a great solution. Undoubtedly, Pedram is a great person with high integrity, which is very hard to find in real estate business. In our opinion, he is genius in real estate, and a great asset to all his clients! We really appreciate his kind help, and will recommend him to everyone! He has set up a very high standard for realtors in Canada! Dear Pedram; Rayan and I wanted to let you know how much we have appreciated all the work you've done on our behalf since we met last Spring. I imagine you get a number of these emails about Pedram, but my wife and I just wanted to pass along an email to you about how happy we were with Pedram and how he dealt with the sale of our house, as well as how quickly we bought our new house. End to end, we listed on a Wednesday, took offers the following Monday, and put an offer into our new house the very next day before it even listed. We've had the pleasure of working with Pedram once before 1 year ago, so we are repeat customers. Pedram helped us make the decision to sell and be opportunistic with the market. He really gets market dynamics and is exceptional in his knowledge of the neighbourhood. With the amount of real estate agents around, Pedram stands above the rest and is a true representation of the Re/max Realtron brand. We look forward to working with him again... just not too soon!! Pedram, first and foremost I want to sincerely thank you for the endurance, patience and professionalism you have provided helping me find what I was searching for. These qualities in the quantity needed to handle my changing requests, constant updates and late night calls are not only embedded into your general way of working, but got customized to my personal needs automatically without additional customer intervention. This kind of proactivity is rare, at least for your age group. Overall my experience working with you was simply a 10/10, which leaves no room for doubts or any reasons why I shouldn’t distribute the C.A.R.E portfolio to the world, family and friends. Once again, it was my pleasure doing business with you and THANK YOU very much for everything! I guess, I will see you when the next business opportunity floats up to the surface… and/or for a beer! Pedram is an excellent real estate agent. He has an incredibly likable personality and a very broad knowledge of the Toronto House market. Pedram has already helped me find two Houses, and I look very forward to working with him again in the future. Finding a house is easy. Finding a home is not. Four walls and a front door just wouldn't cut it, and Pedram knew that. Patience is a virtue that not everyone possesses. Lucky for us, Pedram's got the patience of an absolute Saint. Without so much as an eye-roll, Pedram listened as we rattled off our intimidating list of must-haves. It had to have a yard. It had to be by the park. It had to have a fireplace. The kitchen had to be just so, and the bathroom should be big enough to cartwheel in. Particular? Yes. Picky? Probably. But, discouraged? Never. Pedram's positive attitude, that willingness to try, try, try again, was recognized and so very much appreciated. Weeks turned into months, and we were still Dream House-less. Then, one wretched winter evening, the search finally ended. "It might not look like much right now, but the potential is definitely there," he told us. And he was right. It wasn't much to look at, but there was something very promising about the place, and so we put in an offer. Only a few short weeks later, we had our yard, our park, our fireplace and our kitchen. Four out of five ain't bad! And, after knocking down a few walls, we're now able to do full floor routines in our shower! They say good things come to those who wait. This is true. But great things come to those who work with Pedram. His tireless efforts and unwavering optimism ("It's out there guys, I know it!") made the whole experience a pleasant and rewarding one.He went above and beyond the call of duty, and we can't even begin to thank him enough. Pedram truly is the definition of the perfect real estate agent, and any house-hunter would be more than lucky to have a guy like him in their house-hunting corner. Pedram, Thank you very much for your kind sentiments and also forall your help, patience, enthusiasm and effort in helping us find our new home. We have enjoyed each of our meetings, you are a very special person and hope our paths keep crossing for years to come.